Alienware fans, rejoice. Dell's in the process of planning the launch for the Alienware M14X and Alienware M18X, which will likely be happening very, very soon. It won't be long until you can actually get your hands on one of these two beastly machines. 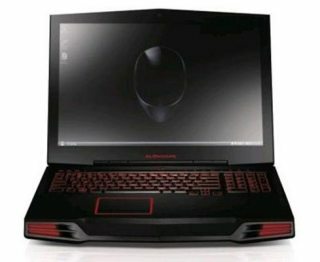 For those of you who don't know, the Alienware M18X is a behemoth new addition to the Dell Alienware M line, and the Alienware M14X is an upgraded version of one of Alienware's older gaming rigs. Both of these products have been causing quite the stir on the interwebs lately- mostly due to leaked specifications and early product posts. Dell's evidently planning to announce the two laptops in tandem on Tuesday, April 19, via a livestream on Alienware Arena. April 19...that's only two days away! For those of you who want to stay abreast of Dell's two latest gaming rigs, you can subscribe to the Alienware Newsletter. This news seems to speak for itself- either Dell's going to be officially setting the market date for the two laptops, or April 19 will be when they're made available to the general public. The latter seems more likely. 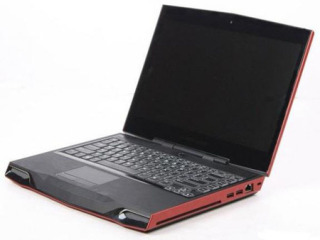 I mean, there are already product holding pages up on Dell's site, and given how many people already know about these two device, it's not like Dell's planning on saying "Hey guys, by the way, we're making some new gaming laptops, here they are." Further, it's not like they don't already have the available tech to start building them, either. But hey, you never know, My guess is that even if the market date isn't April 19, it'll definitely be sometime in the very near future; likely within the next month or so. Guess we'll just have to endure the long, painful two day wait, eh?